I recently had the opportunity to spend a couple of weeks in Japan meeting with HPC users and technologists. I came away from the experience with some new perspectives, and I wanted to share these with you. Dealing with the realities of summer heat. Take NVIDIA’s signature event, the GPU Technology Conference (aka. GTC). From developers to exhibitors, GTC Japan 2014 was well attended. Attendees from household Japanese brands (NTT, Sony and Yahoo!) were present, in addition to the stalwarts from education and government. Since there’s nothing passive about GPU-based HPC, it’s not surprising that avid users contributed numerous technical presentations and posters. Innovation is a word I frequently bandy about when talking about GPU-based HPC. Bright Computing partner HPCTech Corporation exhibited a 4U configuration with eight NVIDIA Tesla K40 GPUs and two CPUs. From FLOPS/$, FLOPS/W to FLOPS/rack, this innovative configuration delivers competitively. With Bright Cluster Manager, the eight GPUs in each ultradense 3U server can be managed individually or as a unit. Our partner HPCTech has a track record of developing innovative solutions involving GPUs. In 2012, they designed and deployed a cluster for a materials-science laboratory at the Tokyo Institute of Technology (TITech) - you can read our news release here. Dr. Akinori Yamanaka’s lab cluster is a scaled-down analog of TITech’s TSUBAME supercomputer. Dr. Yamanaka and his students use the lab cluster to develop and even scale their models and simulations. Then, they run these same codes up to the full scale of TSUBAME. Dr. Yamanka’s phase-field simulations of dendritic solidification were recognized through the award of the prestigious Gordon Bell Prize in 2011. I had the pleasure of meeting Dr. Yamanaka during my trip to Japan at his current Tokyo University of Agriculture and Technology (TUAT) lab. Still using the approach of prototyping for TSUBAME on his laboratory cluster, Dr. Yamanaka and his students continue to push the frontiers of materials-science research. I was delighted to share aspects of Dr. Yamanaka’s story in my presentation at GTC Japan. HPCTech recently upgraded Dr. Yamanaka’s cluster to the latest release of Bright Cluster Manager. Initial indications with Bright 7 appear to confirm past experience: Bright allows Dr. Yamanka’s team to focus on materials-science research, without the distraction of infrastructure management. Real estate agents have a mantra: Location. Location. Location. This single word is repeated three times solely for emphasis. 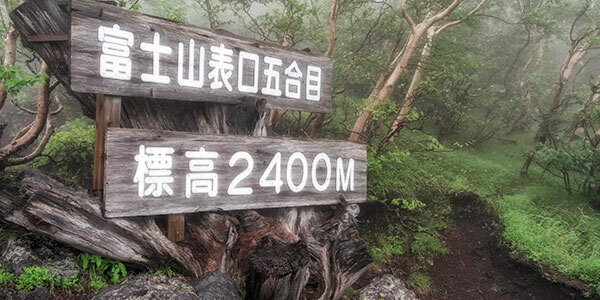 Each time I travel to Japan, I’m reminded of a similar mantra: Localization. Localization. Localization. Is this really worth emphasizing? Suppose you’re visiting Japan. In the metropolitan Tokyo area, you’ll find English-language options that’ll allow you to make use of the extensive rail and subway systems - from signs and kiosks, to people as well as, of course, apps for your smartphone. These English-language aids dwindle as you move away from the metro Tokyo area - ultimately making it a challenge to get from A to B. In this and four previous trips, I’ve met native Japanese speakers with varying degrees of fluency in English - from excellent to non-existent. And even for those who have some degree of fluency, it’s more than just a cultural courtesy to engage them in their native tongue. Localization is one of the key reasons it makes sense for foreign companies to work through partners. With our support, partners like HPCTech represent Bright Cluster Manager localized for the Japanese marketplace - for a compelling illustration, please have a look at HPCTech’s Web page for Bright here. This is a lot more than just knowing how to do business in Japan. It’s also about value-added technical services from initial consultations, through purchase, to delivery and ongoing support. I made a number of presentations during my trip. None, however, was without the aid of a partner acting as a facilitator from a language perspective. In some cases, the partner translated my words sentence by sentence, and even when this wasn’t necessary, it was customary for some of the discussion to take place in Japanese - from the framing of technical questions, to the cultural nuances of doing business. NVIDIA deserves kudos for grokking (click here for a definition of "grok") the importance of localization. Through simultaneous translation, every presentation in every room was available in Japanese and English. And even though most of the opening keynote was delivered in English by NVIDIA staff, most slides were localized for the Japanese audience. Even the logistics were localized. As in the past, when I attended GTC Japan 2012, this year’s event was held at Tokyo Midtown. This excellent venue is highly accessible for metropolitan and intercity commuters. The opening keynote started at a commuter-friendly 10 am local time. From start to finish, NVIDIA programed a GPU-immersive experience that sustained a frenetic pace. My talk was scheduled for the end of the program - to start at 5:30 pm. Having been to Tokyo a few times, I was not at all concerned, as I knew time-of-day would not factor into attendance - and it didn’t. Following the program, NVIDIA ended the day with a reception - an opportunity to network, refresh and celebrate each others’ success. 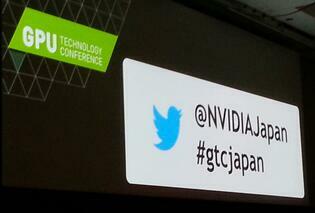 That’s GTC Tokyo-style - to use an adjective I learned from HPCTech CEO Okuyama-san. I’ve spent all of my IT career in infrastructure. From infrastructural software for HPC, to the hardware and software that deliver campus IP data networks, scalability has always been on my radar. Each time I visit Tokyo, I’m astounded by its scalable infrastructure. 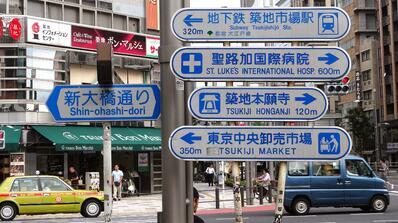 The population of Tokyo is estimated to be in excess of 13 million as of May 2014. According to Guinness World Records, the skyscraper district’s Shinjuku Station services in excess of 3.5 million passengers per day - yes, per day! Although I could continue to relate stupefying stats, the point is this: Tokyo thrives on a scalable physical infrastructure. 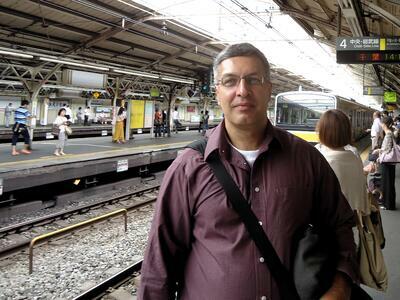 In addition to being scalable, Tokyo’s rail and subway systems are extensive and affordable. In all of my business trips to the Tokyo area, locals, expats and enlightened visitors, make use of these services for getting around the metropolitan Tokyo area. For intercity transit, the Shinkansen (aka. bullet trains) speak volumes to those of us with a need for speed by traveling up to 240–320 km/h (150–200 mph) <gulp!> Now that is scalable, high-performance infrastructure! Frankly, there are many other parts of the world (including North America) that could learn a lesson or three from Japan, and Tokyo in particular. Temperatures sit in the mid 30s on the Celsius scale (mid 90s Fahrenheit) in July. Factor in the humidity, and you’re looking at Tokyo summers of mid 40s (low 100s Fahrenheit). Not exactly ideal weather for schlepping around a laptop in a suit and tie, while taking public transit! Whereas office buildings offer some relief from the urban outdoors, some is the operative word here. In the wake of the devastating March 2011 Tohoku earthquake and tsunami, demand for electricity continues to outstrip supply, as most of Japan’s nuclear power generating stations remain off line. (In fact, while I was in Japan, there were discussions of the review phase winding down, and nuclear power plants being gradually re-introduced into service.) As an interim measure, the Japanese government established a guideline that sets air conditioning at a balmy 28 °C (about 82 °F). Adaptation notwithstanding, summer attire for business purposes has become progressively, and pleasantly, much more relaxed. My jacket and tie were confined to my hotel room, as I navigated the subway and JR (Japan Rail) sporting just a shirt and slacks. Next time, short-sleeved shirts! While people adjust their attire to cope with summer, the datacenter is less compromising. Though leaders from price/performance and energy efficiency perspectives GPU-based configurations, like those offered through HPCTech, still generate heat. For a country whose starting point is currently (sorry ;-) an electricity deficit, the need to dissipate the heat generated in its datacenters is of pressing concern. From the groundbreaking Earth Simulator in 2002, to TSUBAME and RIKEN’s K Computer, it’s clear the Japanese have a compelling interest in energy efficient datacenters at scale. Since necessity is the mother of invention, perhaps the future will bring innovative datacenter solutions from Japan to the rest of the world. Four of many lasting perspectives … and, enthusiastic anticipation of the next trip!